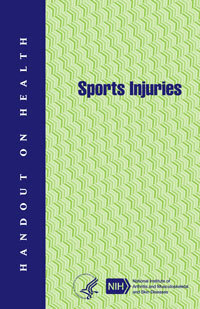 This booklet contains information about different types of sports injuries that occur in both children and adults. It contains information about the difference between acute and chronic injuries, treatment, when to see a doctor, and how to prevent injuries. Information is also provided on recent treatment advances from research.